with the performance of this little guy. The carder works exceptionally well for carding directly from a lock. It is designed to grab the fiber from your hand. 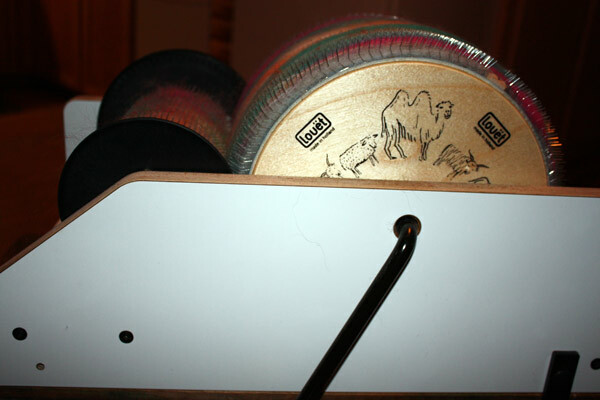 The Supercard (and most carders) prefer to handle a well teased or picked fiber. 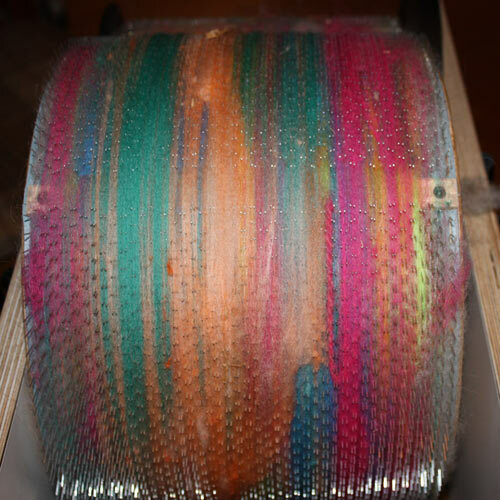 The coarser teeth on this carder mean that the fiber is not well blended on the first pass – which is exactly what I wanted. 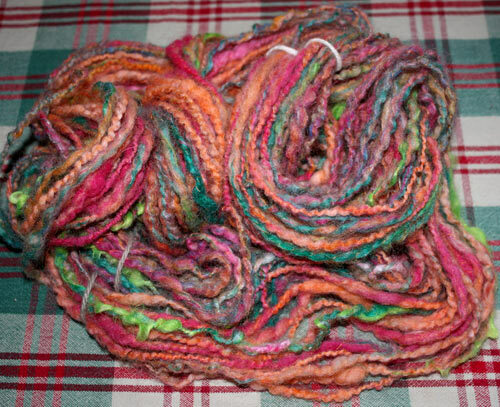 For weaving (and locker hooking) and felting, I prefer to use roving or batts with alot of variation. I want to see the spectrum of those wonderful Jacob Sheep natural colors. If all I wanted a homogeneous gray wool, why would I raise spotted sheep? The first pass off the Louet does not produce a smooth batt (the SC does). There are times when I don’t need a smooth batt – a little lumpy works just fine. And there are times when I don’t want a smooth or well blended batt..
and I want that bit of slightly felted Cotswold to retain it’s lumpy nature.. I LOVE the colors! Awesome! I love my Louet carder! 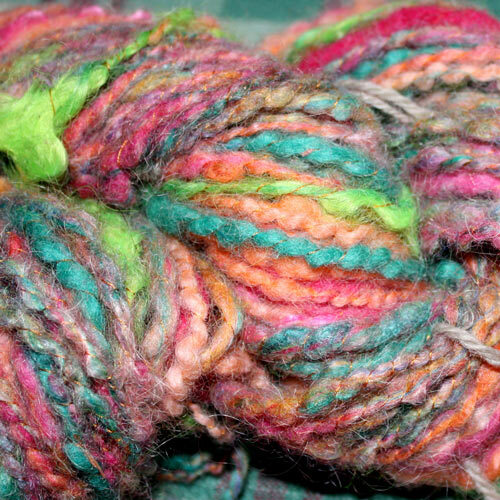 Your yarns are beautiful!